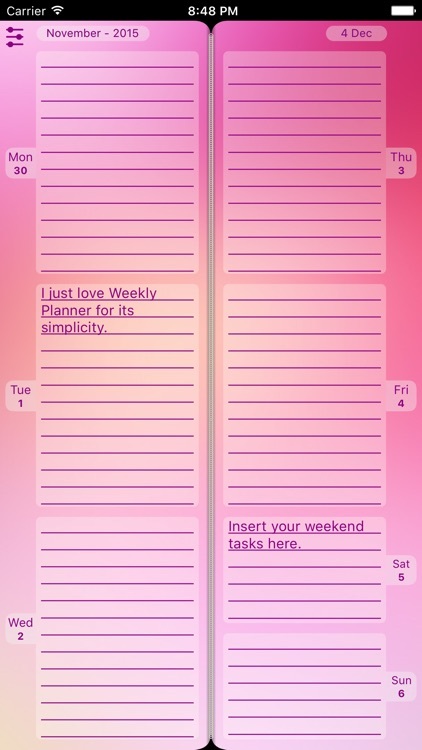 The Week Planner is an interactive online manager that captures your schedule and ideas systematically and effortlessly. 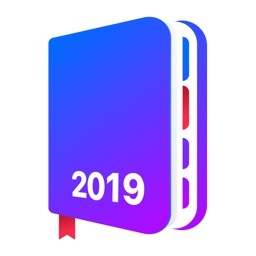 It unites your many notepads, checklists, paper organizers and project management tools in one efficient and very accessible application. 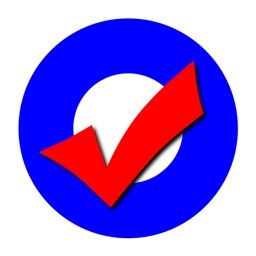 -	"So great! I know all my plans instead of having to look at the calendar." -	"So easy to use. 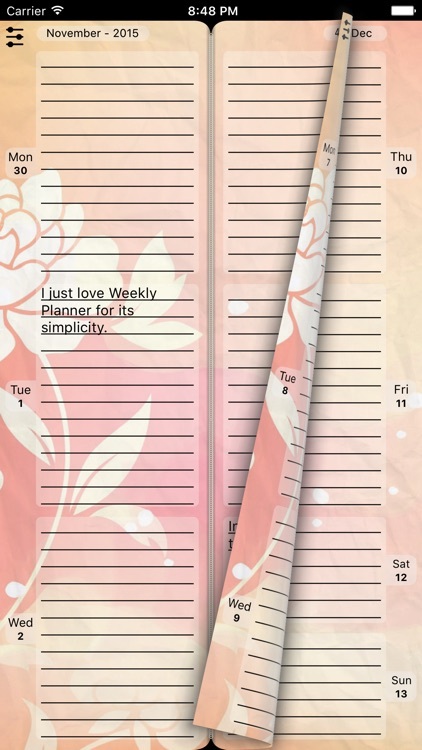 I really appreciate the look of the planner." 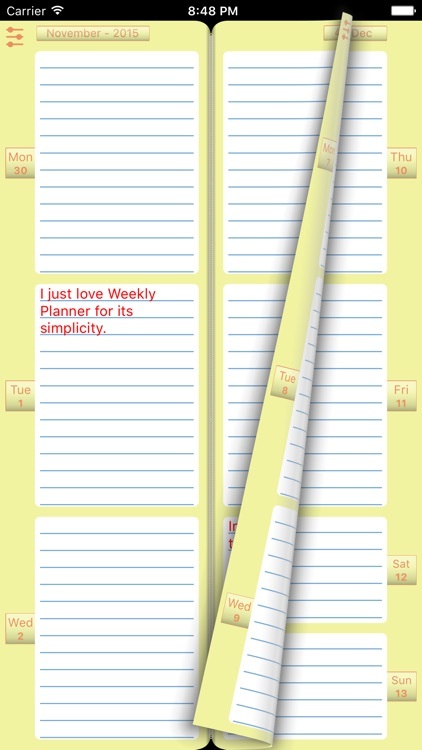 -	"This was the only planner app I could find that was both simple and useful." 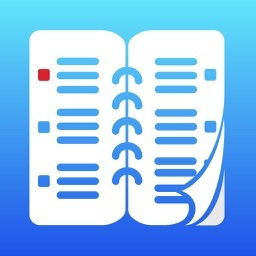 Nothing is better than keep your diary, events' calendar and task list always at your hand. 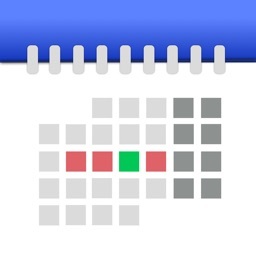 You can also accurately plan your time and add the latest updates on the go - it is that easy. 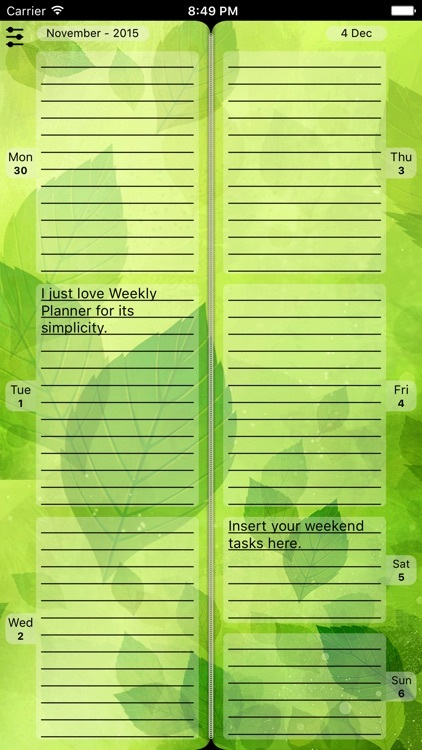 Why not customize the design, font, and text color of your agenda the way you want it? 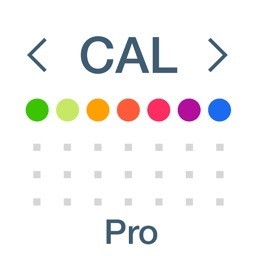 Moreover, the program supports ten foreign languages and switches to daily view and monthly calendar. You have no option but to start using it right away. 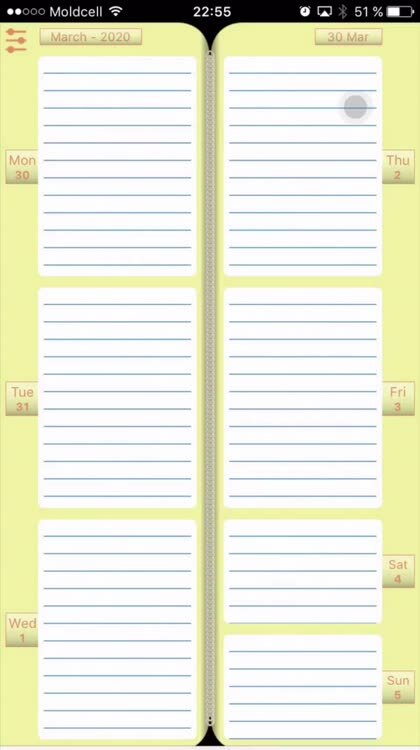 The Week planner can also review your past notes for months and years. 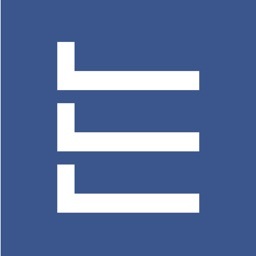 As well as, set up recurring events on a daily, weekly, monthly and annually basis. 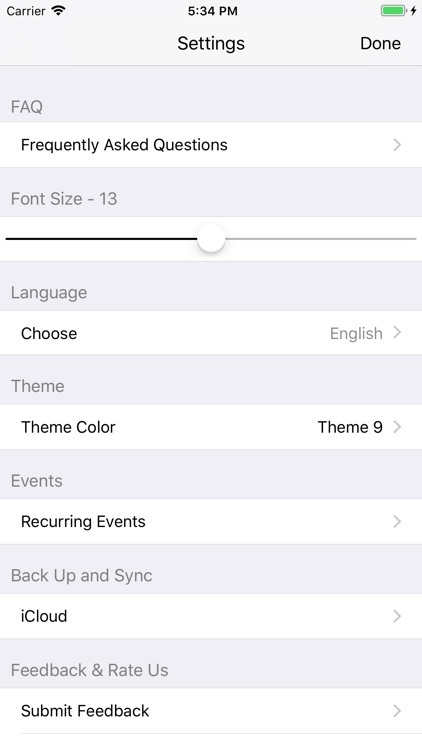 or use an online form in the app.